MADE is most active in the Manufacturing vertical. Can you tell us how robotics can disrupt this vertical? Robotics play a big and important role in factories and in the manufacturing industry of the future. Many manufacturing companies already use robotics, but the development of new robotics solutions can change the way we think of and work with manufacturing. The Danish city of Odense has over the past few years become the robotics center of Denmark and from here universities, RTOs and robotics companies work on developing new solutions for the manufacturing industry. What type of startups are you looking to target in this programme? 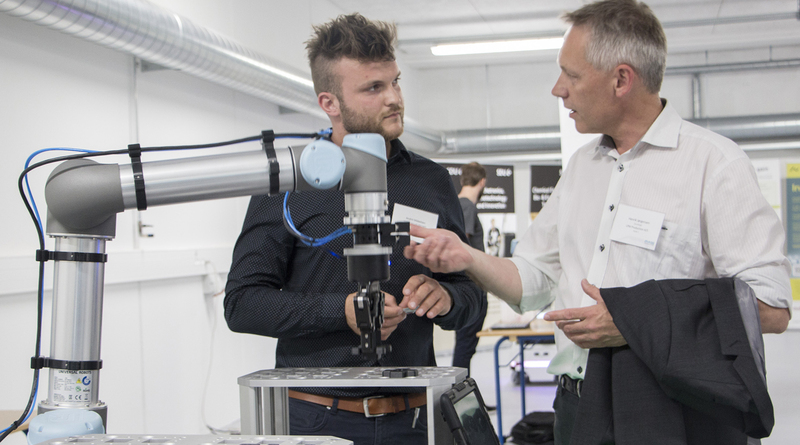 With our involvement in RobotUnion we want to target Danish robotics start-ups and SMEs who can take part in the acceleration program and develop robotic solutions for the manufacturing industry. Simultaneously, we are interested in involving companies who’d be interested in taking up the robotics solutions that will be developed during the acceleration program. Why should startups apply to the programme? What will MADE be offering them? Start-ups and SMEs should apply for the acceleration program because it’s a great opportunity for up-and-coming companies to get in contact with industry leaders, create collaborations and partnerships and become acquainted with other businesses who deal with the same issues and obstacles in developing robotics solutions. Also, the participants will receive technical and non-technical services such as mentoring which will be very beneficial in the development of new solutions, not to mention the opportunity to receive up to € 223.000 equity free. Have you been involved in an acceleration programme before? If so, any success cases to talk about? How did MADE get involved with the initiative? What’s the number one advice MADE can give startups interested in applying to the programme?